The Institution is the leading international organisation for professional systems analysts and computer programmers. 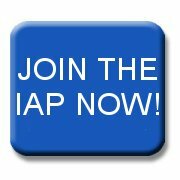 The IAP has high standards but if you have the right skills and experience it is not difficult to join. Applications are evaluated using a bespoke points system, that takes full account of the quantity and quality of the applicant’s academic qualifications, vocational training and working experience. Buried in the bald totals above there are additional constraints, designed to ensure that applicants have a balance of the skills and experience appropriate for a professional person at that grade. For example it is not possible to achieve Member status with three degrees but no knowledge of business, because the system does not allow it. It is possible for applicants with no academic qualifications or formal training to join the Institution, even at the highest levels. But this is not an easy option, and not something we would recommend to someone starting a career. If skills are to be practiced they first have to be learned. Few professionals ever come to regret the time they spent acquiring proper instruction in the theories and practice of computing.